Slow day in news, but we can always start with some new tours. 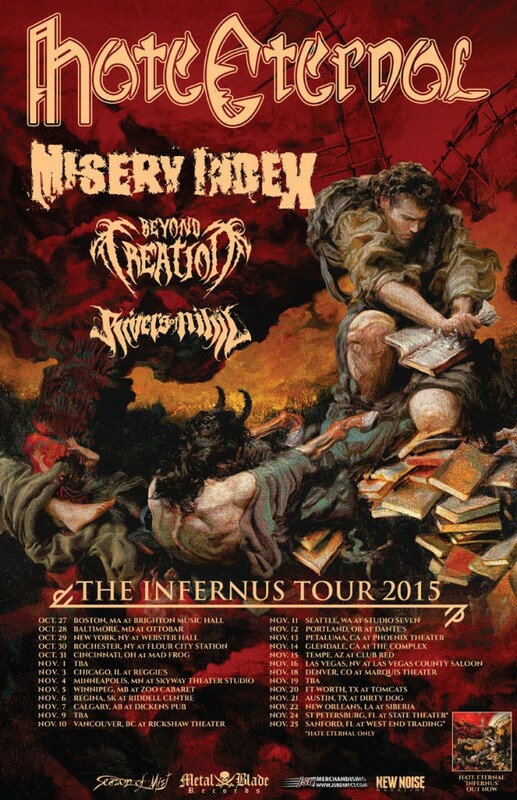 The first one features Hate Eternal, Misery Index, Beyond Creation, and Rivers of Nihil. That’s going to be a beast. I’m only sharing this because my roommate is a fan. Parkway Drive will be hitting the road with Miss May I and Thy Art is Murder. The tour kicks off at the end of October. Alright. One more tour. August Burns Red with Every Time I Die. The first date is November 27th in Philadelphia. Marty Friedman has been busy. Before his first North American tour in nearly forever kicks off next week, he went ahead and released a new track titled “Jasmine Cyanide”, which features Danko Jones on vocals.